So if you spotted my previous post regarding rebuilding my Azure enviroment to get access to the D series VM's, you will likely have noticed that I all went rather smoothly, well today we found a rather obscure issue. 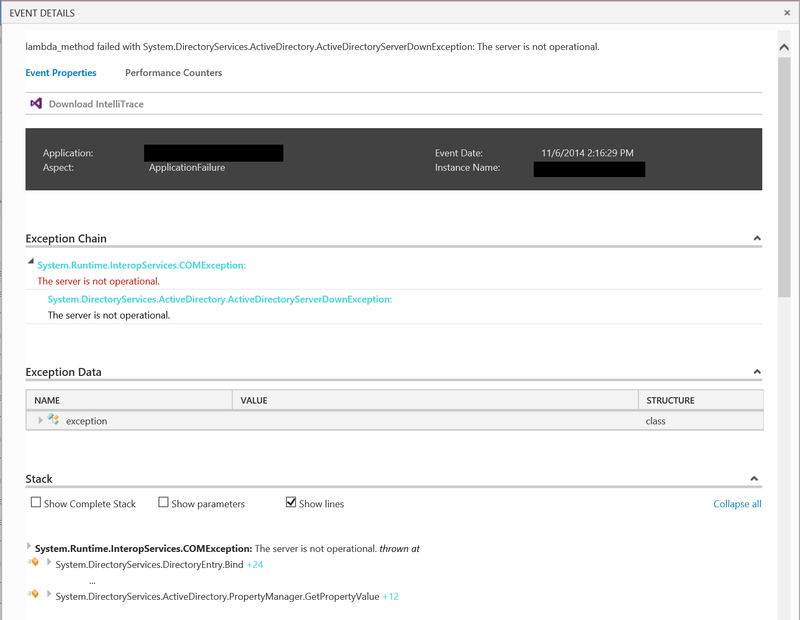 While browsing the SharePoint sites was all fine, whenever someone attempted to use the User management interface, they would receive a non discript "Error"
Thankfully I've been using Vs Appinsights for some time now, and it was enabled on the servers in question, Which had caught more info as to the cause. This confused me even further to start with, as I had been using the domain controllers shortly before, Running DCDiag on all domain controllers reported no issues. As I got further into the investigation, I realised that any machine in another subnet from the domain controllers, Could succesfully talk to every domain controller, except the PDC. While all domain controllers could talk to each other, the PDC also could not talk to any non domain contrller. Running a Tracert from a non domain controller, showed that no route to that particular machine could be found. In the end the fix was very simple, while I was planing various fixes to attempt, I accidentally discoverd the fix. Yes thats it, all it took was turning the machine off for a min, this must have caused the gateways in Azure to recreate the tables with a valid route to the PDC, when it was switched back on, everything sprung back into action.